As we had reported earlier, Mani Ratnam’s Kaatru Veliyidai that has music composed by AR.Rahman will have it’s 3rd single releasing and it has been confirmed to be a wedding song. This marriage song has been titled “Saarattu Vandiyila”. The official word is out on the release of this third single and the date and time is March 1st at 00:00 hrs. This 3rd single is said to be on the lines of Yaaro Yaarodi from “Alaipayuthey” and is touted to have Karthi and Aditi Rao Hydari shaking their legs for it. A reddish pink promo poster of the song has come along with this official announcement. 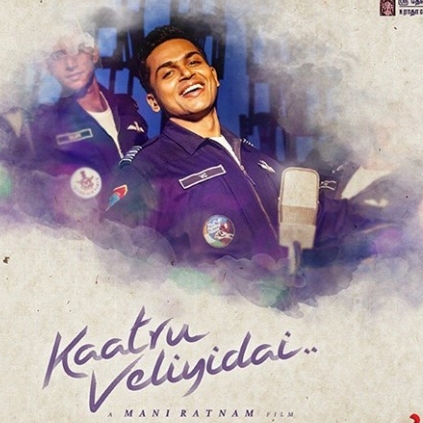 This “Saarattu Vandiyila” is said to be the last promotional single release after which the entire album can be expected. People looking for online information on A glimpse of Kaatru Veliyidai, AR Rahman, Kaatru Veliyidai will find this news story useful.